Rob Gronkowski has been at the Patriots’ facility nearly every day the last two weeks, staying for up to four hours at a time. Rob Gronkowski’s left forearm continues to be a concern for the Patriots and their standout tight end. Gronkowski has undergone three surgeries — two to place metal plates in the arm, and a third to try to clear out an infection, but that infection has lingered, and, according to league sources, he could be facing a fourth if it does not clear up. If the infection lingers, doctors could decide to remove the second plate because that could be the cause — but it is unknown what is causing the infection, one of the sources said. The situation could be further complicated if it is discovered that the infection has spread to other parts of the arm. A second league source said options are being evaluated and that nothing has been finalized in terms of whether Gronkowski will have another surgery or receive different treatment. Since the situation is very much up in the air, it is too early to determine if Gronkowski’s availability for the start of the season is in jeopardy. 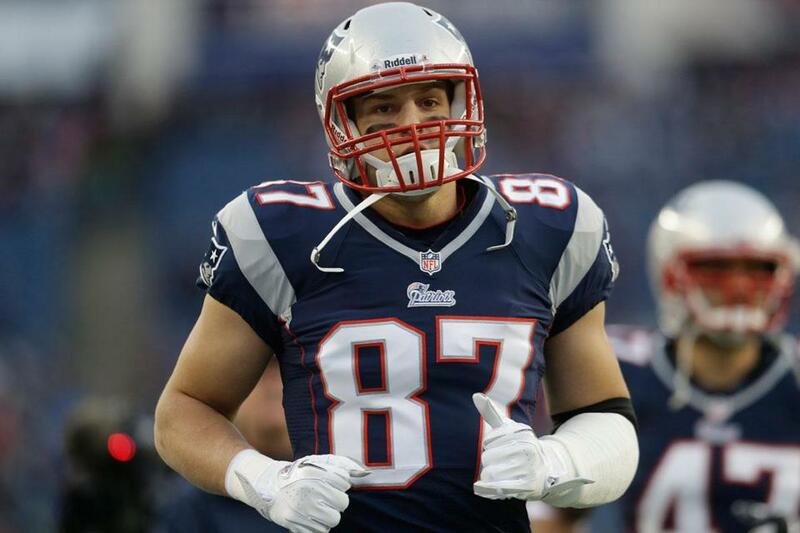 If Gronkowski requires further surgery, that obviously would affect his rehab schedule. Gronkowski has been at the Patriots’ facility nearly every day the last two weeks, staying for up to four hours at a time. Gronkowski broke his forearm late in the Patriots’ win over the Colts Nov. 18. Gronkowski had seven receptions for 137 yards and two touchdowns in that game, giving him 53 catches for 748 yards and 10 TDs through 10 games. Gronkowski returned to practice in the days leading up to the Week 16 game in Jacksonville, though he did not play. He did play a limited role (25 offensive snaps) in the regular-season finale against Miami, with two catches, including one for a touchdown. Gronkowski was in the lineup for the divisional-round playoff game against Houston, but didn’t play for long. After trying to haul in a sideline pass in the first quarter, he braced his fall with his arm and broke it again, this time just past the end of the initial metal plate. A second surgery followed, and then the third, in late February. Gronkowski appeared on ESPN Radio’s “Mike & Mike in the Morning” March 27, and gave a positive report when asked about his progress.